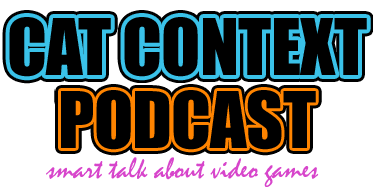 Episode 36 of the Cat Context Podcast is now available! Elly and Liore got together for a quick 30-minute discussion on Steam’s Family Sharing beta, looking forward to Beyond: Two Souls, and the upcoming Extra Life marathon. Liore has been beta-testing the new Steam Family share program, and it appears to do what it says on the box! Does it work well? Listen to find out. Elly is looking forward to Beyond: Two Souls, the new game from game/film mashup creator David Cage and Quantic Dream. Liore isn’t sure whether this style of experience really constitutes a game or not. Elly doesn’t care because it is fun! Either way, head on over to the official episode page, hit us up on iTunes, or just watch our sweet, sweet video. Also, please rate us, comment, or submit questions. Feedback is the best!